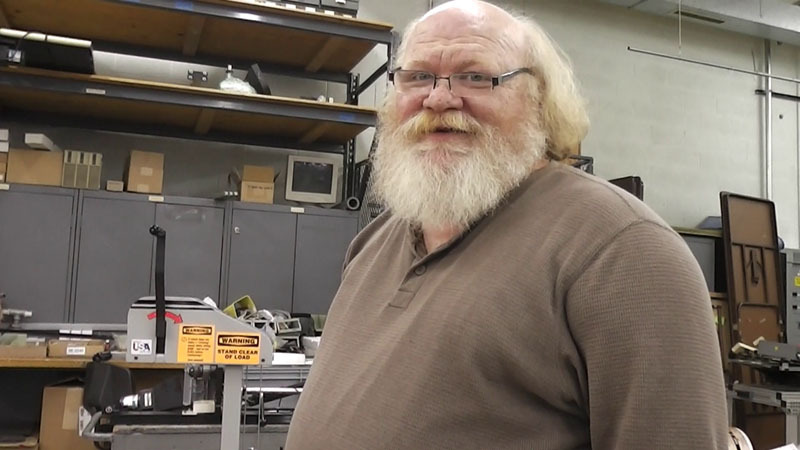 It is with a heavy heart that we announce Spartanics Service Technician, Stewart McDaniel has passed away. Stewart McDaniel had been a part of the Spartanics family for nearly 13 years while playing a key role with Spartanics product developments. He was a very well liked and respected team member. Stewart traveled the world for our company. He enjoyed sharing stories of his travels and the people he met. Stewart had a great sense of humor and always had a joke for us. He will always be remembered and missed for his kindheartedness, fun loving spirit and laughter. 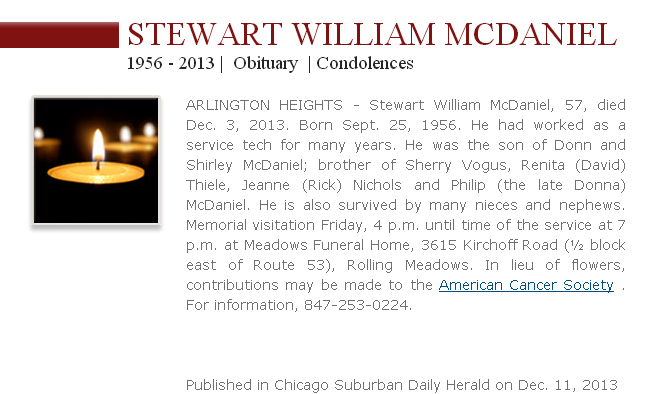 Memorial visitation and services will be held for Stewart McDaniel on Friday, December 13th at the Meadows Funeral Home, located at: 3615 Kickoff Road, Rolling Meadows, Illinois 60008. Visitation is from 4pm – 7pm with the service to immediately follow.